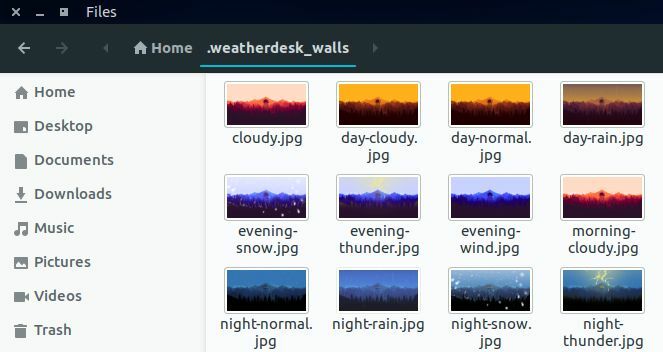 WeatherDesk is a free wallpaper changer for linux, windows and mac OS from the developer Bharadwaj Raju. It is a simple python script and it will change your desktop wallpapers based on the weather conditions in your area. You can also change desktop background based on 4 optional times of the day. It uses Yahoo! Weather API to find the weather of your location. Open your ubuntu terminal app and run (type and enter) the below codes one by one to install WeatherDesk on Ubuntu. Then extract the downloaded file to the .weatherdesk_walls folder. Note: .weatherdesk_walls is a hidden folder. In file manager check the show hidden files option to view it. Then type and enter the below command in terminal to run the weatherdesk. Note: You need to run this script every time if you want to change the wallpaper. To do it automatic, just type the below command it terminal and press enter. This will open the the ubuntu startup manager. Click the add button give the below details in the name,command and comment field. 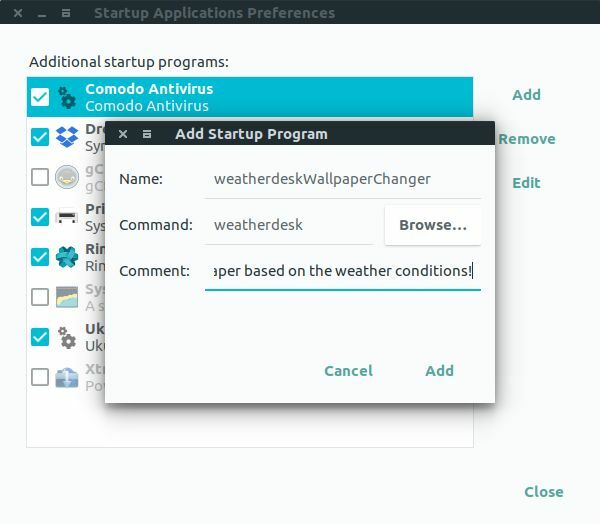 Automatically changes desktop wallpaper based on the weather conditions! And click add then it will run on your Ubuntu startup.